Nigeria: African Development Bank Approves $15 Million Investment Package for Infrastructure Credit Guarantee Company. This intervention will promote local currency infrastructure financing, and further development of the domestic capital market. InfraCredit is a specialized infrastructure credit guarantee company, established to enhance local currency debt instruments – mainly bonds, to finance eligible infrastructure projects in Nigeria. 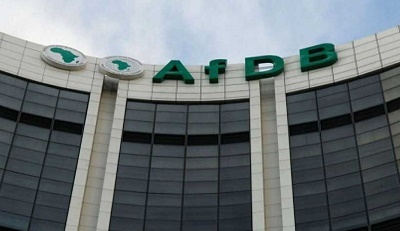 The African Development Bank’s investment in InfraCredit will catalyze local institutional investor funds, including pension funds, into financing long-term infrastructure projects through the local bond markets. The investment boosts InfraCredit’s qualifying capital base through the subordinated loan; it also improves its capacity to expand its guarantee business through the proposed risk sharing arrangement. InfraCredit’s operations will catalyze infrastructure investments in critical sectors such as renewable energy, housing, transportation, agricultural infrastructure, and telecommunications, which are critical for the country’s economic development. These also align with the Bank’s High 5 (www.AfDB.org/en/the-high-5/) agenda. Stefan Nalletamby, the Bank’s Director of the Financial Sector Development said, “The Bank’s support will strengthen the capital base of InfraCredit, underpinning the expansion of the Company’s core business of guaranteeing of bonds issued to fund infrastructure projects. This adds to the Bank’s existing initiatives to mobilize domestic institutional savings and stimulate non-sovereign local debt capital market development in Nigeria. This ultimately helps to increase private sector financing for critical infrastructure projects in key sectors including energy, agriculture, water, health and education, through local capital markets”.